Hello everyone! I’d like to finally write an article on my travel to Italy this past May. I know I’m writing this a bit late but it’s better late than never! I’ve been to many countries through out my life (because of curiosity and chess) but Italy was not on my list. When I had gotten the kind offer to come to Italy (by Matteo Zoldan who organizes tournaments around the country) – I could not say no! On my trip, my best friend Anna came with me as well. She’s part Italian and wanted to learn about her Italian roots and family history. It’s always nice to have a friend near by rather than travelling all alone. We arrived to Rome, Italy on May 15th with a lot of excitement for what was to come. Our travel around Italy was to have four days in/around Rome and on the 18th we would fly to Lecce area, close by is the location of the tournament I would play and organize in. After arriving from the airport, Anna’s relatives (from Milan) picked us up, helped us get to the bed & breakfast place we were staying at. They were even nice enough to allow us to have a rest before going into the city. We got to see a few sights before it started raining heavily. Four of us were hungry after being in rain so we quickly ran into a restaurant beside the beautiful fountain! This was very exciting for me, the experience to try Italian cuisine in the country itself! On our second day (May 16, 2016) Anna’s relatives could not stay longer so we had to go explore Rome ourselves! Later that afternoon, we went on a tour which included the Colosseum and the Roman Forum. That night we got onto a late night bus to Pisa. On our fourth and last day (May 18, 2016) to see Rome, we went to the Vatican City. Had a two hour tour… Visited the beautiful museum where Michelangelo’s famous paintings were on the walls and ceiling. We are not allowed to talk or take photos in that area, but you can find some photos online! Italy is such a beautiful country with so much amazing history. Every city we went to, there were old buildings which are nothing compared to the ones in Ontario, Canada. On May 19, 2016 we had a flight to catch to the Southern part of Italy. Our final destination was the city Gallipoli which is right beside the Ionian Sea. We were greeted by one of the representatives of Calori Hotels and taken to our hotel, Le Sirene Ecohotel. Once we arrived to our hotel, checked in and got settled into our rooms – we were welcomed by Matteo Zoldan! To those of you who do not know who he is: One of the best tournament organizers I have ever met. Matteo plays the game himself (at a competitive level) and is ambitious to see more tournaments in Italy. Matteo hosts the Salento International Chess Open every year for the past 5 years. This tournament takes place in a resort where chess players can relax by the seaside and play chess. I was very happy and thankful for being invited to help. One of my jobs prior to my trip was to be the Media & Communications Officer. This position included me writing a few articles and encourage people to come via social media or personal contact. May 20, 2016 I got to meet many of the participants and register them into the tournament! Players were coming from so many different countries which include Russia, Netherlands, Poland and many many more. So exciting to get to play in an International Tournament like this! One of my jobs at at the tournament was to be the photographer! 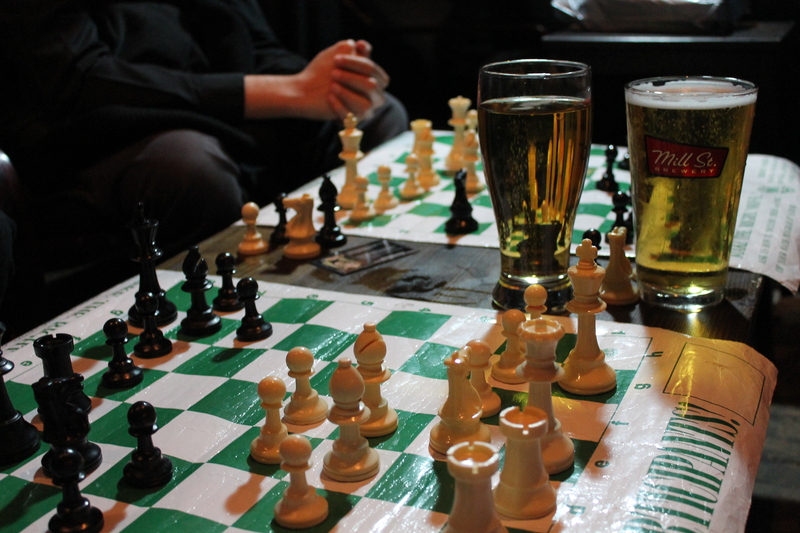 I really enjoyed taking photos of chess players, surrounding areas and leisure events. Almost everyday we had chess players playing soccer! An amazing part of this tournament was the tours, the hotel organized a tour daily for most of the days! Every day you could see a new city near by Gallipoli. I only went to the one in Lecce. Now let’s get to the chess part! In conclusion, I really loved my stay in Italy. I got to see so many beautiful sights and meet great people. Italy is truly one of the countries that has the most history. Seeing the historic buildings really reminded me about my days back home in Ukraine and how much I miss travelling to Europe. A special thanks to Matteo Zoldan (picture below) for inviting me to the tournament. It was a great atmosphere, the food was amazing and the staff was very friendly. If you want to play a tournament and have a getaway I definitely would recommend you to register! You can get the best of both worlds. Wouldn’t it be great to prepare or analyze games beside the seaside? Visit: http://www.5salentochessopen2016.it/?lang=en for more information regarding this years event! I will keep you updated once the information about the 6th Salento Open will be known! Thank you so much for reading! Hope you will enjoy my future posts about my travels in the west coast of Canada/ USA. Please follow my blog: I will be updating about my life, travels and chess. Have a great day everyone! Hope you win many chess games in the near future! I’m terribly sorry I have not posted anything since now. This post is about my first American tournament experience. I was invited to this tournament by the organizer, Alan Kaufman. Alan Kaufman is a great chess enthusiast. Not to the say the least, he’s a chess player himself! Alan, one day – about a little over a year ago messaged me about his tournament. Not only was I interested to play because it was close to home (I live in Toronto, the tournament was in a small city not far from Detroit) but because of the recommendations to play were very high! The tournament ended up being much better than I expected. I was treated very well – someone picked me up from the bus terminal, and I had a nice stay at the hotel we were playing in! 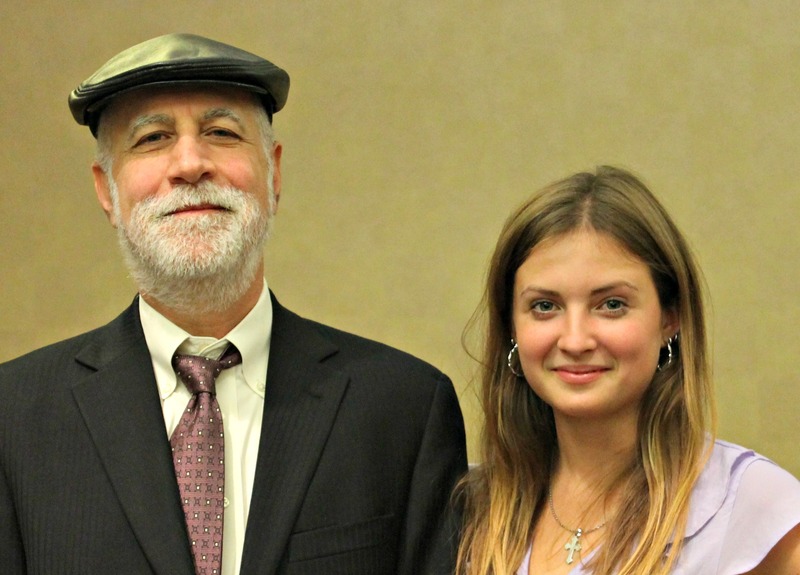 I got to meet many new people – chess players, parents, enthusiasts! I even got to see people in super hero costumes (there was another event being held in the same hotel). Now, about the chess! 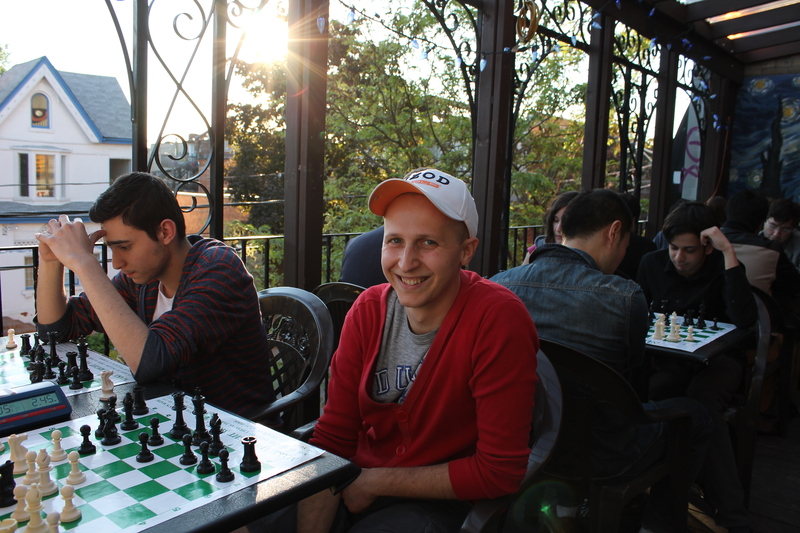 I helped Alan to try to get many international chess players to attend the tournament – and even succeeded! The tournament ended up being a greatly organized and strong event. My result: I am not exactly thrilled on the result I had at this tournament but I had to expect it because I was one of the lowest rated players! I did end up getting two draws, one win, and lost about 8 FIDE rating. My chess has been a little rusty, because I am a full-time chess teacher – it’s really hard to teach and study at the same time! I can’t seem to find any results on this tournament – but the second I find it, I will update it to this page. During the tournament, I was the photographer for this event – please check out the photos I took! There were two tournaments through out the 5 day chess festival. The 9-round tournament which was 5 days (October 23-27) and the 5-round tournament which was 3 days (October 25-27).